The image of the Northern Barbarian, hulking with a huge blade and thriving on bloodlust is an easy one to conjure, whether it was the Romans and the Germanic northerners, the Britains and the Danes, or the English and the Scots. Scotland, as a country and a land was born in blood and conflict. 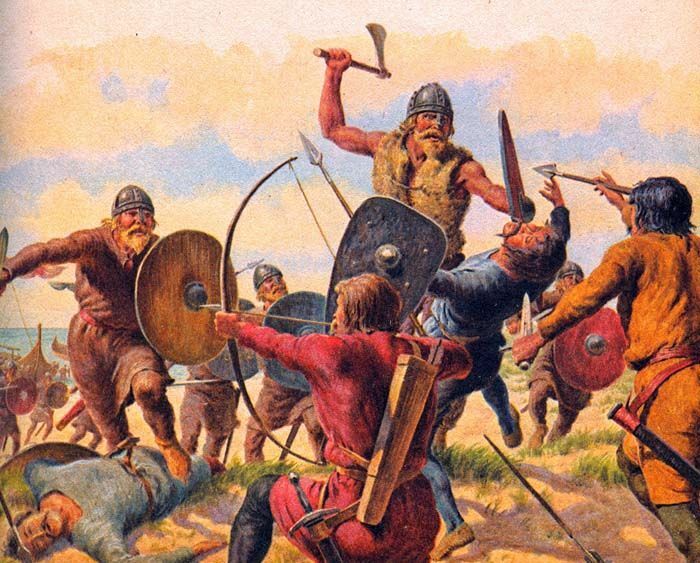 The legacy of warring went back to the early tribal conflicts which afflict every young, sparse country, and continued when warriors in blue paint struck at the remotest Roman outposts, but things really heated up when the Vikings figured out how to get boats across the North Sea for raiding the farms and monasteries of Britain. My favorite story in this era is of the Scottish chieftain who had his soldiers parade in a loop wearing different coats to make the Vikings think he had four times the number of men he really did. But the grand tactics and brawn didn’t end there. Scotland emerged as a proper kingdom, separate from England, in the Early Middle Ages. Kings rose and fell, and clans became inseparable from their territories. The sheep which thrived so well on the thick turf of the north gave up their wool, and every locality developed their own patterns and colors for weaving tartans. The kilt, a long stretch of cloth belted at the waist and draped in various ways, was first established in the 1500s in the far north. It granted freedom of movement and a certain autonomy to the wearer, being both a practical garment and a covering when on the road. Swords could be easily hung on the belt, and as such did the Scots ride against each other as well as for and against the English and French… who always seemed to be gnawing on their southern borders and closest liberties or protecting Scotland and distracting her current enemy. Any alliance tended to be traded upon, and it usually didn’t take much time before the Scots found themselves fighting for independence. Scotland continued to exist as an independent sovereign nation busily fighting with England from the 1300s up to 1707 when the political union with England formed the Kingdom of Great Britain. A lot of Scots were displeased about this and kept fighting anyway. The Scots grew battle-weary and broken-hearted when the Bonny Prince fled back to France after the failed ’45 Rising, and then the English imposed their sanctions on Scotland with a sort of cruel vindictiveness which can only be described as the behavior of a government that has been denied too long. It was enough to break Scotland. They did not rebel in any meaningful way again. … But they were still warriors. It wasn’t until World War II, 1940, that England and the Allies called upon the Scots to summon up their war-like heritage once more. 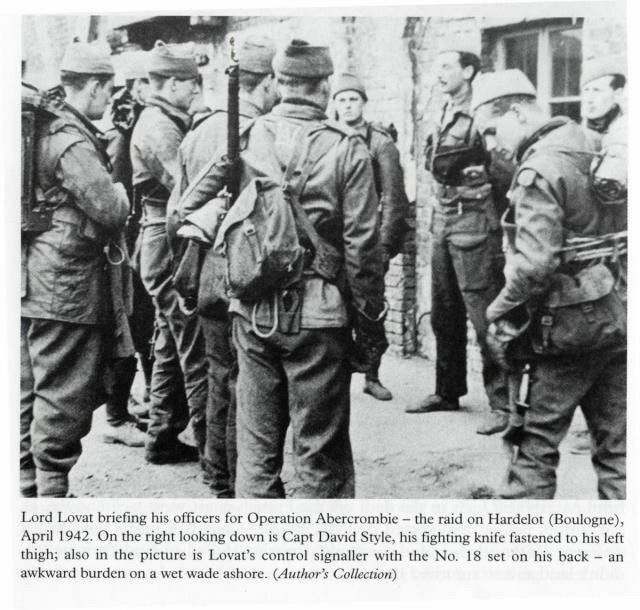 The training camp in Achnacarry, near Fort William, was built upon the ground bloodied in the aftermath of the Battle of Culloden, and it welcomed every freedom-loving nation who wanted to train their most elite soldiers into the sort of nightmares who win a war which had set the whole world on fire: Commandos. Scotland still sends her soldiers to fight in conflicts around the world, but they go under the citizenship of Great Britain, in spite of a recent referendum to secede from England and regain autonomy once more. These men now fight alongside America, France, Germany, Italy, Belgium, Greece, Iceland, Ireland, and Israel, among many others, to ensure the freedom of future generations, and the safety of this one. And I guarantee you this: if you have Scottish blood in your veins, and you go to Scotland, stand in the ruins of the castles and the heather next to the standing stones, you can feel that old thrumming thing, too. Waiting for you to hear and rise up to face your own battles like a Scot: blood on your sword, a song in your heart, and a determined soul, even with a hundred years of struggle yet to go. Go ahead and tackle 2018 like a Scot – you’ll be surprised at the results.